JimJam Media publishes the Institute of Water quarterly magazine. JimJam Media is a specialist contract publishing company with particular expertise in compiling and publishing industry specific journals, magazines and publications for professional industry bodies, industry and business support organisations and public sector organisations. 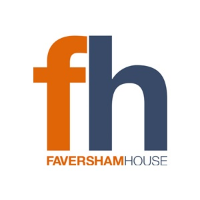 Its directors have 20 years experience in working collaboratively with such organisations, not only to produce exceptional publications, but also to drive forwards the overarching aims and ambitions of those organisations for the benefit of the organisation, its members and stakeholders. IWEX was launched in the early ‘nineties when the Institute of Water (then AWO) merged its ‘Watertec’ Exhibition with the National Water Exhibition. IWEX Water Live – now owned by Faversham House Group, an independent media business with a portfolio of digital platforms, events and publications – forms part of Sustainability Live and is the key forum for the water industry to tackle the issues and opportunities to better manage precious resources for a sustainable future. The Institute of Water is committed to supporting and promoting IWEX Water Live and we choose it as the stage for our Annual Drilling & Tapping Competition, now in its 25th year. The International Water Association (IWA) is the global network of 10,000 water professionals spanning the continuum between research and practice and covering all facets of the water cycle. The UK Committee is a sub-committee of the Institute of Water and its Chair, Marie Whaley, is a Director of the Institute which brings closer links to IWA and its global network. 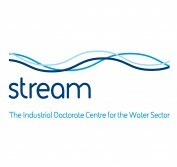 STREAM is the Industrial Doctorate Centre for the Water Sector. The STREAM programme is delivered by a consortium of five collaborating universities and brings together diverse areas of expertise to train engineers and scientists with the skills, knowledge and confidence to tackle the challenges faced by the water sector today. STREAM has teamed up with the Institute of Water to showcase some of the leading edge research undertaken by its Research Engineers in an exclusive poster session at our Annual Conference and Exhibition for a five-year period. This was launched in London in 2012 where it was popular with delegates and Cranfield were pleased with the outcome. 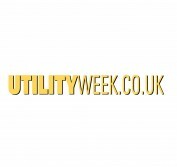 To help raise the profile of the Institute of Water and also to improve member access to news, industry thinking, innovation and ideas we have a media partnership with Utility Week. Utility Week shares many of our aspirations for creating dialogue in the sector and promoting professional development. The partnership provides a window for promoting our work and gives exposure to our brand. The Institute’s Rising Stars programme has been developed in partnership with Utility Week. WaterAid is our chosen charity. WaterAid is the international NGO dedicated exclusively to the provision of safe domestic water, sanitation and hygiene education to the world’s poorest people. The Institute is committed to promoting the work of WaterAid, and also to raising funds for the charity.